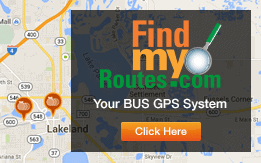 The information provided is specific to Lakeland Area Mass Transit District. The Lakeland Area Mass Transit District d.b.a. the Citrus Connection processes complaints relating to Title VI in accordance with Department of Transportation (DOT) regulations at 49 CFR Section 21.11 (b) and 21.11(c). Title VI of the Civil Rights Act of 1964 prohibits discrimination on the basis of race, color or national origin in programs and activities receiving Federal financial assistance. Specifically, Title VI provides that “no person in the United States shall, on the ground of race, color, or national origin, be excluded from participation in, be denied the benefits of, or be subjected to discrimination under any program or activity receiving Federal financial assistance.” (42 U.S.C. Section 2000d). The Environmental Justice component of Title VI guarantees fair treatment for all people and provides for Citrus Connection, to identify and address, as appropriate, disproportionately high and adverse effects of its programs, policies, and activities on minority and low-income populations, such as undertaking reasonable steps to ensure that Limited English Proficiency (LEP) persons have meaningful access to the programs, services, and information Citrus Connection provides. Citrus Connection works to ensure nondiscriminatory transportation in providing public transportation for all Polk County citizens. Citrus Connection’s Title VI Coordinator is responsible for Civil Rights Compliance and Monitoring to ensure non-discriminatory provision of transit services and programs. How, why, when and where you believe you were discriminated against. Include the location, names and contact information of any witnesses. If the alleged incident occurred on a bus or other Citrus Connection vehicle, please give the date, time of day, and bus/vehicle number if available. In the case where a complainant is unable or incapable of providing a written statement, a verbal complaint of discrimination may be made to the Citrus Connection Title VI Coordinator. Under these circumstances, the complainant will be interviewed, and the Title VI Coordinator will assist the complainant in completing a written statement. Any complaint must be filed with the Citrus Connection Title VI Coordinator within 180 days of the date of the alleged Title VI violation. Identify and interview persons with knowledge of the alleged Title VI violation, i.e., the person making the complaint; witnesses or anyone identified by the complainant; anyone who may have been subject to similar activity, or anyone with relevant information. Upon completion of the investigation, the Title VI Coordinator will complete a final report for the Executive Director. If a Title VI violation is found to exist, remedial steps as appropriate and necessary will be taken immediately. The complainant will also receive a final report together with any remedial steps. The investigation process and final report should take no longer than twenty-five (25) business days. If no violation is found and the complainant wishes to appeal the decision, he or she may do so by contacting the Federal Transit Administration. Once a complaint has been accepted by FTA for investigation, FTA will notify the recipient or subrecipient that it has been subject to a Title VI complaint and ask the agency to respond in writing to the complainant’s allegations. Once the complainant agrees to release the complaint to the recipient or subrecipient, FTA will provide the agency with the complaint. If the complainant does not agree to release the strives to complete a Title VI complaint investigation within 180 days of the date that FTA accepts the complaint for investigation. FTA will make a prompt investigation whenever a compliance review, report, complaint or any other information indicates a possible failure to comply with this part. The investigation will include, where appropriate, a review of the pertinent practices and policies of the recipient, the circumstances under which the possible noncompliance with this part occurred, and other factors relevant to a determination as to whether the recipient has failed to comply with the Title VI. A letter of resolution that explains the steps the recipient or subrecipient has taken or promises to take to come into compliance with Title VI. A letter of finding that is issued when the recipient or subrecipient is not found to be in noncompliance with Title VI. This letter will include an explanation of why the recipient or subrecipient was not found to be in non-compliance, and provide notification of the complainant’s appeal rights. If applicable, the letter can include a list of procedural violations or concerns, which can put the recipient or subrecipient on notice that certain practices are questionable and that without corrective steps, a future violation finding is possible. A letter of finding that is issued when the recipient or subrecipient is found to be in noncompliance. This letter will include each violation referenced as to the applicable regulations, a brief description of proposed remedies, notice of the time limit on the conciliation process, the consequences of failure to achieve voluntary compliance, and an offer of assistance to the recipient or subrecipient in devising a remedial plan for compliance, if appropriate. The letters of finding and resolution will offer the complainant and the recipient or subrecipient the opportunity to provide additional information that would lead FTA to reconsider its conclusions. In general, FTA requests that the parties in the complaint provide this additional information within 60 days of the date the FTA letter of finding was transmitted. After reviewing this information, FTA’s Office of Civil Rights will respond either by issuing a revised letter of resolution or finding to the appealing party, or by informing the appealing party that the original letter of resolution or finding remains in force. FTA strives to transmit these letters within 30 to 60 days of receiving the appeal. NOTE: The FTA may delay its investigation if the complainant and the party complained against agree to postpone the investigation pending settlement negotiations. Citrus Connection is a designated recipient of funding from the Federal Transit Administration (FTA). In order for a business concern to participate in FTA assisted contracts as a DBE firm, the firm must be certified by the Florida Unified Certification Program (UCP) for DBE status. To search for DBE firms, please click here to access Florida’s DBE Directory. Be sure to check the status of the firms listed in the directory as the directory also contains MBEs and OBEs. Example: UCP Cert. DBE. Prime contractors: Please use the DBE Utilization Report Form(s) attached below to be filed with your monthly and final invoice submissions. For a list of DBE certified contractors willing to work in the Polk County area, click here. Also, please click here for a directory of DBE financial institutions. DBE Applicants: Please use the form posted at the bottom of this web page. All questions regarding its certification procedures should be directed to FDOT. Other state certified DBE firms are eligible to participate in the Citrus Connection DBE program. (f) To assist in the development of firms that can compete successfully in the marketplace outside the DBE Program.